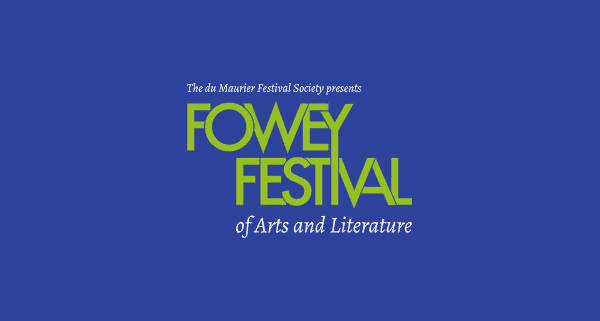 This weekend sees the start of Fowey Festival of Words & Music which runs from Saturday 9 May to Saturday 16 May. There are lots of events taking place, some ticketed and others entirely free. We have picked out a few of the week’s events we particularly like the sound of. Poldark Novels. A panel of experts including writer Debbie Horsfield and Dr Andrew Graham will be discussing the new BBC adaptation of Winston Graham’s Poldark novels which aired this spring having been filmed over six months in beautiful locations across the county. 4 to 5pm, St Fimbarrus Church, tickets £12. Judy Finnigan in conversation with Richard Madeley. Husband and wife team, Richard and Judy will be speaking about Judy’s second novel – I Do Not Sleep. 7 to 8pm, St Fimbarrus Church, tickets £12. Isabel Ashdown. Award-winning author Isabel Ashdown talks about the Cornish locations and inspirations behind her latest novel Flight. 11am to 12pm, The Fowey Hotel, tickets £8. Jon Cleave: A Fisherman’s Friends Nasty Pasty. Jon Cleave is the bass singer and MC of Cornish band The Fisherman’s Friends. Jon will be speaking about his first novel Nasty Pasty and almost certainly performing a few songs too. Philip Marsden. The celebrated travel writer will be speaking to BBC Radio Cornwall’s Daphne Skinnard about his latest book Rising Ground. 8 to 9pm, The Fowey Town Hall, tickets £12. Rachel Lambert: The Distinctiveness of Cornish foraging. Forager and wild food guide author Rachel Lambert will take you on a visual and tantalising journey around the coast and hedgerows of Cornwall and the Isles of Scilly. Later in the day, Rachel will be hosting a second event – a taster walk and hands on introduction to local foraging. 11am to 12pm, The Fowey Hotel, tickets £10. Taster Walk: 2 to 3pm, The Fowey Hotel, tickets £15. Penny Junor. Prince Harry: Brother, Soldier, Son. The acclaimed biographer will be speaking about her new book, published in celebration of Prince Harry’s 30th birthday and telling the story behind the tabloid stories. 6 to 7pm, St Fimbarrus Church, tickets £12. The Du Maurier Big Read. We are excited to be hosting the 24 hour reading marathon which starts at 10am on the anniversary of Daphne’s birth, and will continue until 10am the following day, with the hope that it will enter the Guinness Book of Records. If you’re not staying with us but are in or near to Fowey please pop in and say hello, and support the volunteers who will be reading Daphne’s stories aloud. 10am to 10am, Thursday 14 May. The Old Quay House Hotel, free to attend. Patrick Barkham: Coastlines – The Story of our Shore. Nature writer and Guardian journalist Patrick Barkham talks about his latest book which focuses on the British coastline. 4 to 5pm, The Fowey Town Hall, tickets £8. Terry Waite CBE. The former advisor to the Archbishop of Canterbury and Middle East hostage, Terry Waite talks about his first venture into fiction, The Voyage of the Golden Handshake. 6 to 7pm, St Fimbarrus Church, tickets £15. Patrick Gale.The bestselling author will be speaking about his latest book, A Place Called Winter, an historical novel of intrigue, secrets, sexuality and ultimately, of great love. 2 to 3pm, The Fowey Town Hall, tickets £10. Linda Grant. The novelist and commentator will be speaking to Helen Taylor about her latest novel, Upstairs at the Party. The book explores issues of secrecy, alternative living, radical politics and sexuality with Linda’s usual intelligence and creation of original characters. 2 to 3pm, The Fowey Town Hall, tickets £12. ‘What has happened to the Archers?’ A lively and light-hearted discussion with the main character, David Archer (Tim Bentinck) and two of the show’s scriptwriters, Caroline Harrington and Keri Davies. The panel will discuss the BBC’s longest-running serial’s popularity, how they feel about the saga, and how they deal with the passions and prejudices of its fans. 6 to 7.30pm, St Fimbarrus Church, tickets £12.